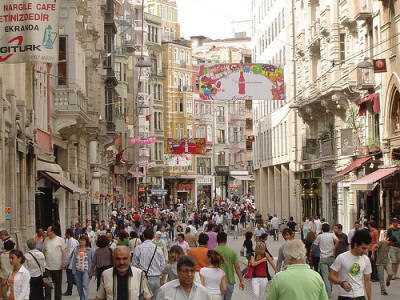 Until January 31, 2012, rules regarding tourist visas for Turkey were, to say the least, blurry. It was common practice for people entering the country on a 90-day holiday visa to simply pop over the border when their designated time had expired, renewing their 90-day allowance with a cheeky one-night cheap-vodka booze-up in a border-town before being back in Istanbul in time for breakfast. You could then continue their stay in the country unhindered and completely legally. In such gloriously lax times, ex-pats had been able to stay in Turkey for extended periods, without having to apply for residency and pay residency charges. Sadly, for foreigners taking advantage of this level of flexibility, the situation has changed. As of the beginning of February, the government has been cracking down, enforcing the rule that once you enter the country, you can stay for a maximum of 90 days over a period of 180 days. Once this allowance has been used up, you will have to leave Turkey for the subsequent 6 months before coming back in — or face the consequences. The change in regulations is causing significant problems for people who have been effectively living in the country on tourist visas. Nevertheless, the application for the 1-5 year residency permit is not complicated and can be completed from within Turkey, if you are operating within your 90-day allowance, or from your home country. Nationals from 44 countries are being affected by new rules so refer to your country’s Foreign Office website to confirm how the changes apply to you. It is worth checking as, if you breach the terms of your visa, you can be given a large fine, deportation and a possible ban on reentry [stern look]. A grey area remains around whether people who left the country to renew their visa and came back in before February 1 will also be penalized for breaching their 90 days. Will the new regulations can be enforced retroactively? For example, if you did a traditional border run before this date, will you be covered by a new 90-day allowance or be punished for breaching the terms of your visa as the law exists now? Consider me the guinea pig on this one as I did an overnight flight to Bulgaria to get my passport stamped just before the rules changed. I may or may not be an illegal immigrant at this point. Do Turkish jails have wi-fi? Not according to Billy Hayes . . .